In Kenya prayer is part of everyday life for many people. 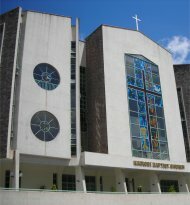 Kenya is predominantly a Christian country, with approximately 80% of the population belonging to either a Protestant or Roman Catholic church. The remaining 20% are either Muslim or continue to follow their traditional tribal beliefs. There are many places online where people have posted prayer requests related to Kenya. You can decide to pray for those people, or post your own request. Carepages.com maintains a public "prayer room" on their website where prayer requests can be posted. For those wanting to pray for missionaries and their work, the World Gospel Mission keeps a daily calendar for prayer that includes many working in Kenya. For Christians in Kenya, prayer books and Bibles have been translated into several local languages (particularly the widely spoken Swahili). As missionaries make headway into more regions of the country, further translation projects are underway. For further prayer resources related to Kenya, there is even a Swahili Bible translation online.